The Stress Less Massage Clinic is owned by David Crawford. As of 2007, Stress Less has been successfully helping people through massage for over a decade! We offer a variety of massage techniques and therapies including table and chair massage, pregnancy and infant massage, accupressure, specific neck, shoulder, and low back techniques, swedish, polarity, range of motion increase, myofascial release, TMJ specific work and more. Wondering what some of these are? Please visit our different types of massage page for more detailed information. You can be assured that your massage appointment will be handled with dignity and care. David Crawford, the owner of Stress Less Massage Clinic and a certified massage therapist, has had over twenty years of massage therapy experience. 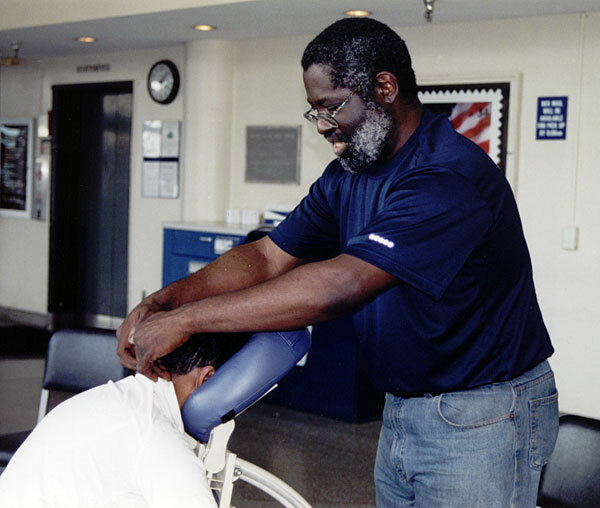 Additionally, he graduated from the state accredited therapeutic massage school, Health Enrichment Center in 1996. The program consisted of over 1,000 hours of studies including anatomy and physiology. David has been a practicing member of the International Massage Association (IMA) and the American Massage Therapy Association (AMTA).